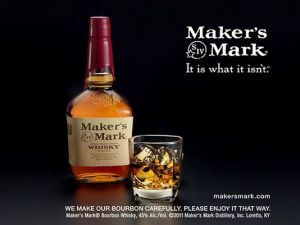 Two California consumers sued one of Kentucky’s best-known distilleries, saying Maker’s Mark tries to spike demand and sticker prices by falsely promoting and advertising its bourbon as being handmade. When Gala Inc. founders Galina and Michael Sobolev began shifting their production for their contemporary line,Single, back to the United States about six years ago, there were several compelling reasons to bring manufacturing home. FAMILY BUSINESS: Galina & Michael Sobolev, pictured with their sons, Evan (far left) and Julian (far right). Daughter Sara not pictured. The husband-and-wife team began investigating what it would take to move all production back to America. That was the case recently for one retailer that purchased a few stock inventory pieces from a previous collection to sell online. The retailer bought 18 units of one dress style—“That’s all we had in stock,” Sobolev said—and oversold it by 390 units. Fortunately, Sobolev was able to secure the fabric from the original local vendor and quickly put the reorder into production. “From the day of the order to the day it [left] our door it was 11 days. And we just got another reorder from them for, I think, 460 pieces of the same dress,” she said. Neiman Marcus’ Cusp department had a similar situation with Single’s “Janessa” jumpsuit, Sobolev said. Sobolev frequently attends the regional markets in Dallas and Atlanta, as well as the New York Market five times per year. Sobolev said some retailers ask if the company will source a style overseas to reduce the price. Private-label businessIn addition to Single, the company has a strong private-label business manufacturing for a handful of brands and retailers. The company also produces exclusive Single collections for retailers such as the White Single Dress label, which sells at Rue La La. The company recently added plus sizes for Saks and has since expanded the offering to other retailers, such as e-tailer Madison Plus. Although still in the early stages, the plus-size capsule collection fills a void in the contemporary market for plus sizes. Sobolev hopes to expand Single’s plus-size offerings into a stand-alone collection. “I would love to turn this into more of a proper business—have it not just be a small capsule segment but really expand it on various levels,” she said. Another new concept in the works is the Single men’s underwear line developed by the Sobolevs’ 24-year-old son, Julian. Still in the test stages, the collection features the Single name and an American flag on the elastic waistband. 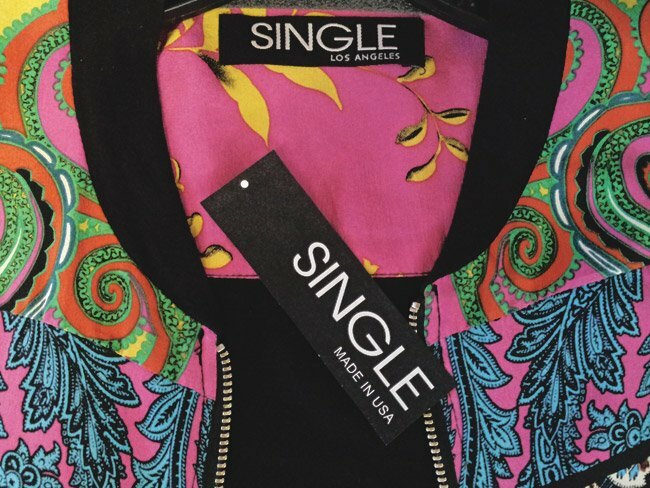 Just as Single is committed to domestic production, Galina Sobolev said she wishes more manufacturers and retailers would commit to Made in America product. 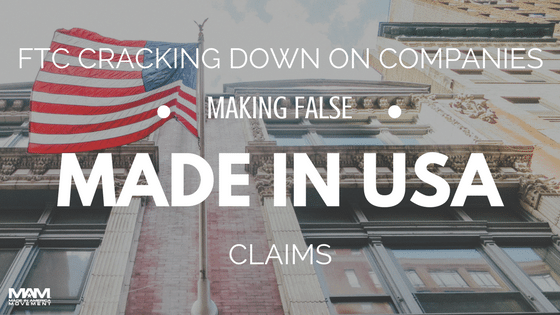 Retailers, in particular, could highlight American-made products in their stores, she said. 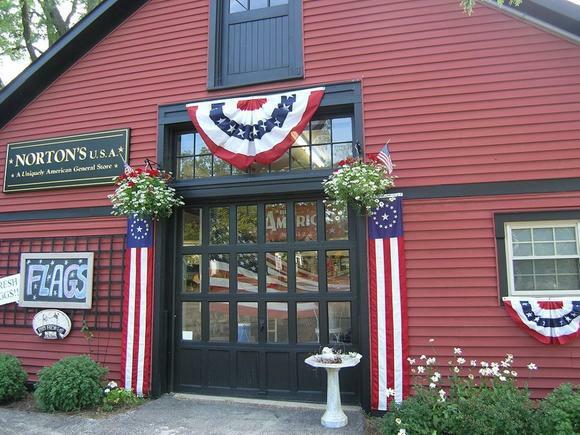 Norton’s U.S.A., a uniquely American General Store in Barrington, is celebrating its 6th anniversary this month! For the past 6 years, Deborah Leydig has shared her passion for discovering and purveying an unparalleled collection of American-made goods through Norton’s U.S.A. Deborah and her employees are excited to share their celebration with the customers and community that have helped make it all possible. When you purchase an American-made good, you are helping your fellow Americans, your neighbors and your friends. Norton’s U.S.A. will be celebrating with some fun for the community and some fabulous deals! From June 11-15, 2013, Norton’s U.S.A. will be sharing its special anniversary deals and events. Each day of the week will feature a discount in a different department of the store. There will also be daily raffles ($50 retail value). On Thursday June 13, Norton’s U.S.A. will be holding a lively Bingo Night. From 6PM-8PM, participants will have the chance to win gift certificates worth up to $25! On Saturday June 15, the store will be part of the Barrington Summer Wine Walk from 2PM-6PM. The celebration fun continues with a family movie night on Saturday June 15 beginning at 9PM. The movie night will feature a showing of “Fly Away Home” right on the store! To add to the family fun, complimentary popcorn and lemonade will be served. So, be sure to grab your chair and blanket and head over to the store for the free event! If you would like to shop before the movie, plan to arrive at the store at 8PM. For more details on the magnificent deals at Norton’s U.S.A., please check the website at www.nortonsusa.com. Norton’s U.S.A. is excited to celebrate with you! Norton’s U.S.A. is located at 400 Lageschulte St,, Barrington, IL 60010. Normal store hours are Tuesday, Wednesday, Friday and Saturday: 10:00AM-5:00PM. The store is open Thursday 11AM-7PM. There are special hours during events. The online store is always open at www.nortonsusa.com. NORRIDGE — Open barely two months, Boutique3 is striving to offer clothing and accessories made in this country. Eva DeFilippis of Elmwood Park has wanted to find space to open a boutique for some time. The graduate of Trinity High School in River Forest has a background in clothing. “My dad was a tailor and owned a clothing store,” DeFilippis said. 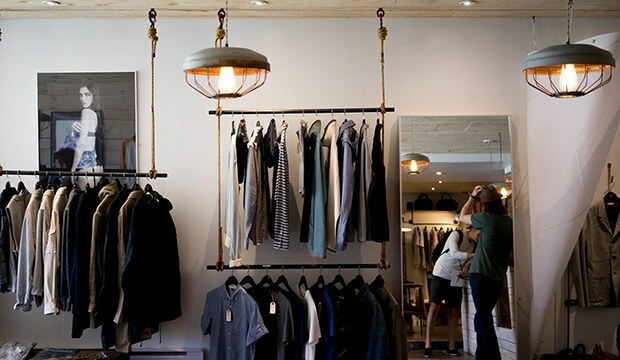 “We kept some of the fixtures from that store, and now those racks are in this store. “It’s like he’s here with us,” she said with a smile. DeFilippis’ Deva Salon, now in its third incarnation, is a couple of doors down from Boutique3, in the same plaza. “I never seemed to have the space for the boutique,” she said. “I first opened (Deva Salon) 14 years ago near Irving Park Road and Cumberland. “I moved into a larger space (in Regency Plaza) and again to an even larger space,” she said. “But I still didn’t have the room. Joining Esposito and DeFilippis in this venture is DeFilippis’ sister-in-law, Geralyn. Esposito, a surgical assistant by trade and friends with the DeFilippis women, said she always wanted to be her own boss. She finds the boutique to be a godsend. “Monday through Friday, I’m a surgical assistant,” she said. “Saturday and Sunday, I’m here. Among the reasons the women find the shop so rewarding, they said, is they can bring to the area quality fashions at reasonable prices compared to other, similar stores in the surrounding communities. And a lot of the products in competing shops, they said, are made abroad, with China dominating the labels. Eva DeFilippis said her inspiration to open Boutique3 was the lack of choices for one-of-a-kind clothing in the area. “No woman wants to look like everyone else,” she said. “In the 1980s, we used to shop boutiques. 10 a.m.-5 p.m. Saturday and Sunday. The What Works Project – What do you love that is Made in America? The folks over at GOOD/Corps were in touch with us last night regarding this awesome opportunity for our followers. First of all, we are excited that we are on their radar! Wooohooo- The Movement is spreading! So keep doing what you are all doing… sharing our page and raising awareness. General Electric (GE) and GOOD/Corps would like to honor your efforts by inviting you and your community to submit photos of people, things and innovations you love that’s made in America to Celebrate What Works! Submit a photo of what works in your world – the innovations, innovators, technologies, cutting-edge practices, machines, scientific discoveries, organizations and other features of life that work to advance America. For each submission, GE will donate $1 to our Non-Profit of the Week supporting American jobs. Support all your favorite photos by pushing the heart in the upper-left corner. Every time you “Heart” a photo submission, GE will donate $1 to the Non-Profit of the Week. Win. Each week five submissions that capture the spirit of the What Works Project weekly prompt will be selected by a Guest Judge, GE and GOOD/Corps to receive a $500 prize. The deadline to submit is Sunday, April 8, at 8:59pm Pacific Standard Time. https://www.themadeinamericamovement.com/wp-content/uploads/2017/08/Made-in-America-Movement-Logo_340x156.png 0 0 MAM Team https://www.themadeinamericamovement.com/wp-content/uploads/2017/08/Made-in-America-Movement-Logo_340x156.png MAM Team2012-04-07 12:10:252012-04-07 12:10:25The What Works Project - What do you love that is Made in America?